The Tanana river originates at the confluence of the Nabesna and Chisana rivers and empties out into the Yukon river. 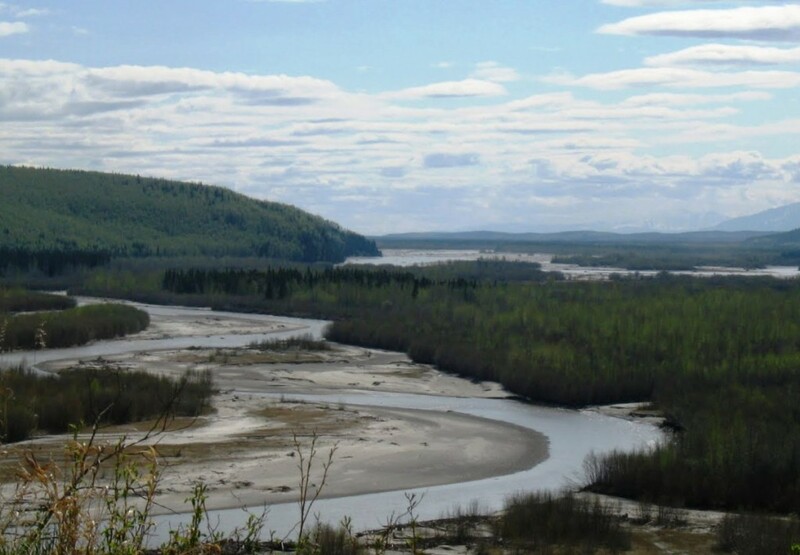 The Tanana is Approximately 584 miles in length making it one of the longest rivers in Alaska. The Tanana is most renowned for Chinook, Coho and Chum fishing and offers ample fishing access for the avid angler. For more information about Tanana river, fishing access, see our Tanana river fishing access map below. Salmon season generally starts in July and ends in October. **See Alaska Department of Fish and Game fishing REGS for exact times. This fishery generally allows 1 Chinook over 20″per day and up to 10 Chinook under 20″. Chum and Coho 3 per day combination no minimum size. **See Alaska Department of Fish and Game fishing REGS for details. See regs for hook requirements. Best bets Corky, yarn, Jigs or spinners. Salmon Egg, Sand Shrimp, or other Salmon attractant. Shoulder to Shoulder in the hot spots. Eye protection recommended!